Making a tripod small enough to be portable but strong enough to effectively hold a DSLR or mirrorless camera with lens isn’t an easy engineering feat, particularly when the tripod legs are designed to bend. The GorillaPod series is innovative but their cost often causes people to buy a JOBY model that won’t support the camera they’ve got. A tripod that drops your camera will hit your wallet much harder than gravity; therefore the GorillaPod Focus is worth taking a close look at. 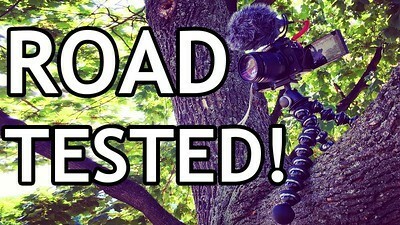 You can see my full review of the GorillaPod Focus after a year of heavy use, in the video above. PreviousGranada Smashes Lisbon, Dubrovnik Awaits: Vote Now In The Best City 2018 Final!